I never liked spinach as a child, probably because all we had was canned spinach – I don’t know why Dad didn’t grow it in his garden. But when I became and adult, living on my own, I discovered how good it is when it is simply braised or steamed. 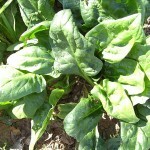 But Creamed Spinach or the related Spinach Provencal are just about my favorite ways to have it (after Spanakopita). This recipe is adapted from Healthy Recipes for Your Nutritional Type by Dr. Mercola. He is an advocate of eating properly for your nutritional type, and spinach is his favorite veggie for protein types like me. 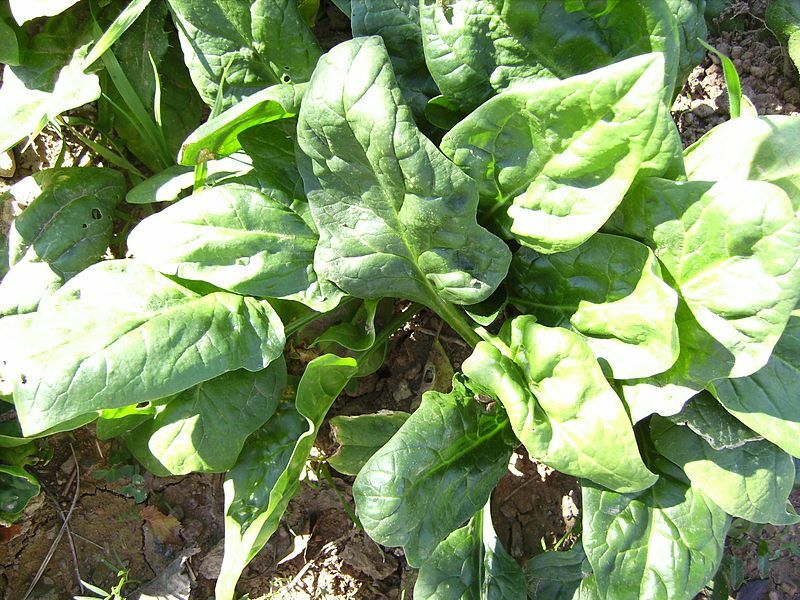 You can use chard instead of spinach – they are in the same family. The original recipe used milk, butter, water and arrowroot to make the creamy sauce, but when I tested the recipe, it didn’t thicken well. Instead, I would just use heavy cream and skip that combo. My adaptation has been updated accordingly. Prep: Wash spinach and drain. Steam until just barely wilted, 1 – 2 minutes; set aside. Cook: In sauté pan heat cream and garlic slowly until hot and thick, whisking occasionally. Remove from heat; let stand, covered, 5 – 10 minutes to allow garlic to soften. Warm cream; stir in wilted spinach and cook until sauce is thick and bubbly, and spinach is tender but still green, about 6 minutes. 1/2 lb spinach/chard; 1 small clove garlic, 1 Tbsp cream, 2 Tbsp milk, 1 Tbsp water, 1/4 Tbsp butter, rounded 1/4 tsp arrowroot, 1 Tbsp grated Parmesan, 1/16 tsp nutmeg, salt and pepper. Made as originally written (with milk/cream/water/butter/arrowroot for cream sauce), but the sauce didn’t get very thick. Still, quite tasty. It would be better to use just cream (no milk or water, no butter, arrowroot) and cook it down a bit until it thickens. I’ve modified the recipe accordingly; also modified for only 2 servings. This entry was posted in Dairy, Leafy Veggie, Onion family, Sauteed, Spices and tagged chard, cream, garlic, nutmeg, parmesan cheese, spinach. Bookmark the permalink.